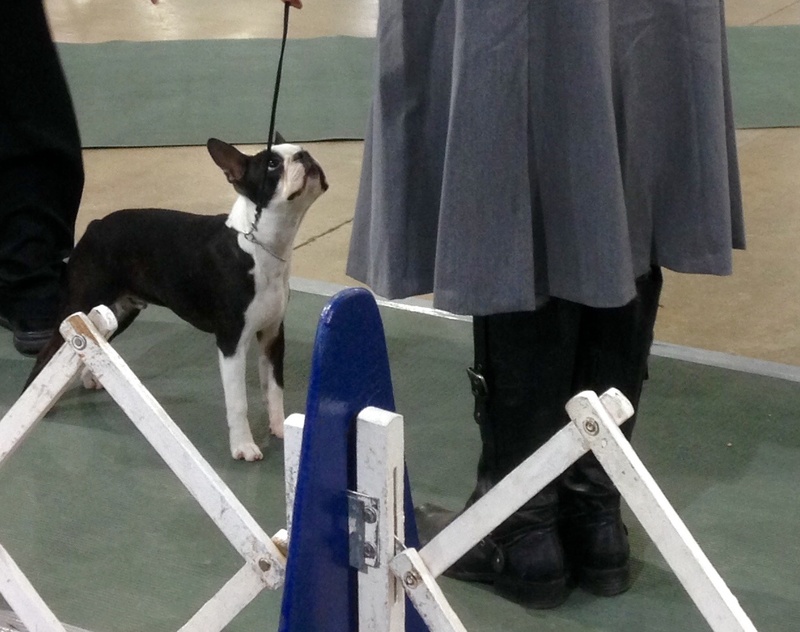 Painted Bostons is an AKC Registered Boston Terrier name -- home to AKC GCH CH Rockwell, AKC CH Buzz and RAND CHAMPION BRONZE Ranger (*Championed in the 6-9 mo puppy classes*)!! NEW CHAMPION Boots and MBISS PGCH Sired Apollo has an impressive pedigree as well!! 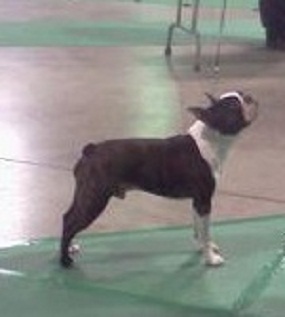 Painted Bostons is named after my mare Painted Lady - the same with my email address. She's my Heart horse!! 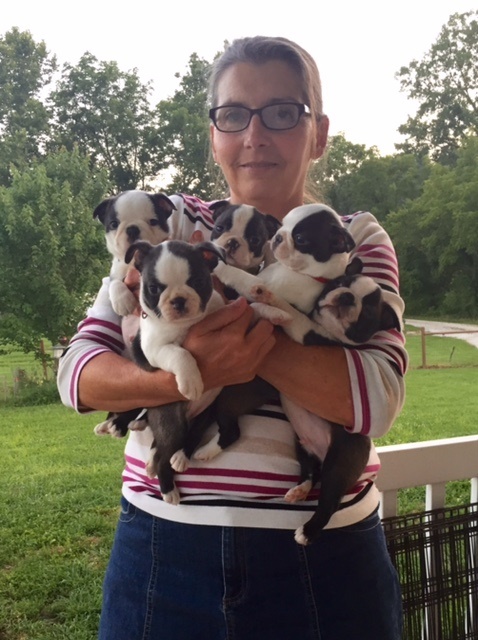 We ONLY have AKC Standard Traditional Boston Terriers and are located in the rolling hills and beautiful valleys of southern Indiana. Painted Bostons / Brett's Painted Bostons - is in No way affiliated with any other Painted Bostons website with Non-traditional tuxedo colors. We do Not condone the breeding of non-traditional colors of Boston Terriers. We are proud to have 3rd and 4th generations in some of our furkids!! We do the proper health testing, research and planned matings to produce the best possible puppies- bred as closely as possible to the AKC Standard !! 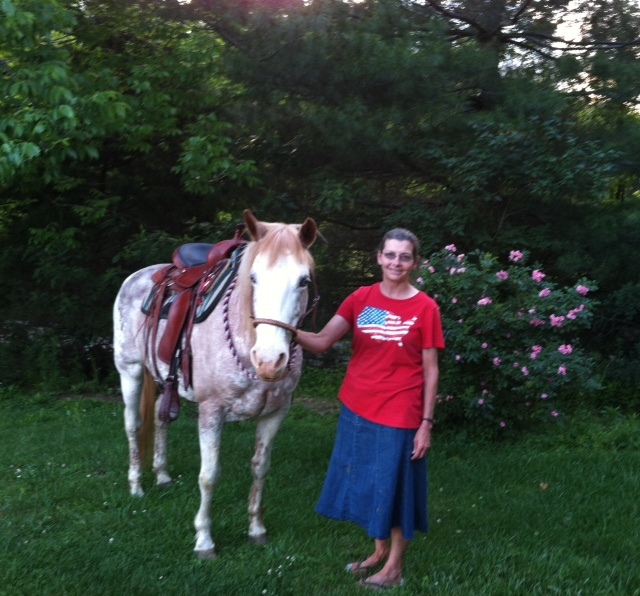 Angel, below, is a 3rd generation - named for my late, beloved, Aunt Jenny, who passed Oct 2014. Some of our lovely puppies pictured below!! Enjoy the website! I am unaware of some of the advertising sites that pick up information or that I have used long ago and posted my site/info- but whatever they say, it is FACE to FACE adoptions! 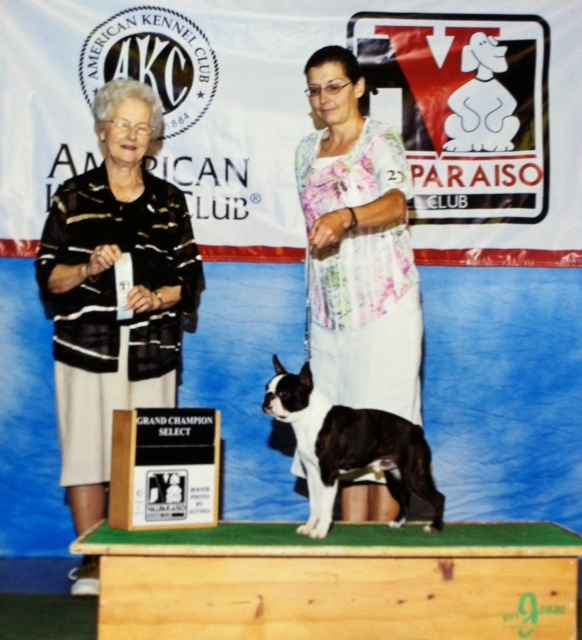 We love, raise and show AKC Boston Terrier Puppies!! This is our passion! They are the Traditional Black, Brindle, Black/brin, True Seal and Seal Brin/wh. **All our Boston Terriers are registered with AKC, Microchipped, Health & Personality tested and treated as part of our family! 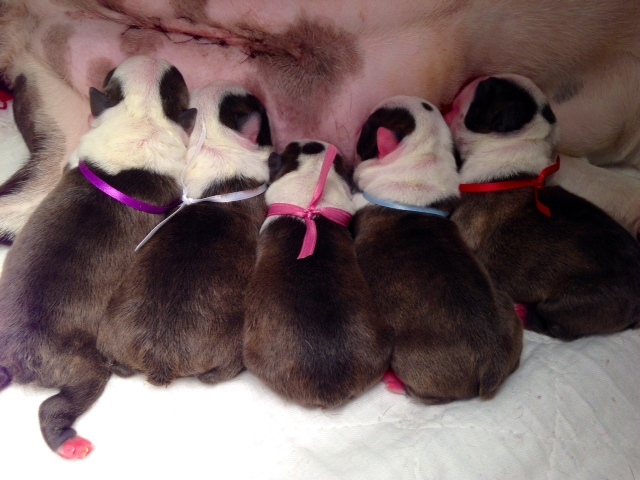 We have some fantastic bloodlines and we want to preserve and expand our lines into our future puppies. Our males are all DNA certified. My grandkids love the puppies and they are spoiled and well loved when they go to their new homes!!! 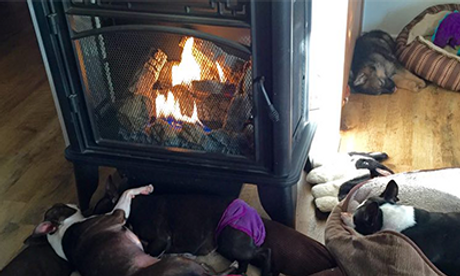 We at Painted-S Bostons are dedicated to our Bostons and to the families that adopt from us. 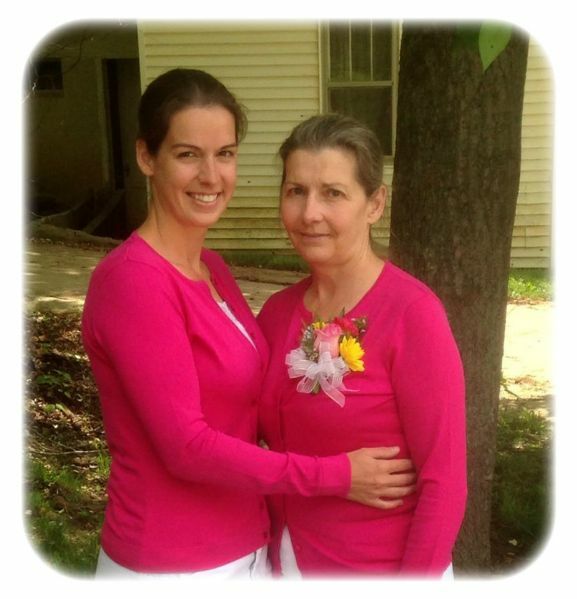 We are a family farm and are all involved in this in one way or other, but basically it is Mother/Daughter. We have puppies available from time to time. The ones we don't show are available to approved family homes. There is a Puppy Application on this website that Must be filled out and sent to us. aThis, along with more correspondence via email, phone, etc as the process moves forward, providing your Application is approved. We are very picky about the homes our babies go as we want them to be loved and cherished as they have been here. To promote the health and welfare of companion animals through a reduction in the incidence of genetic diseases. You don't need a large footprint to make a big impression!! --- Boston Terriers are the greatest -- Very versatile -- for the active, less active, small areas or large farms...they are happy just to be with their human(s) . 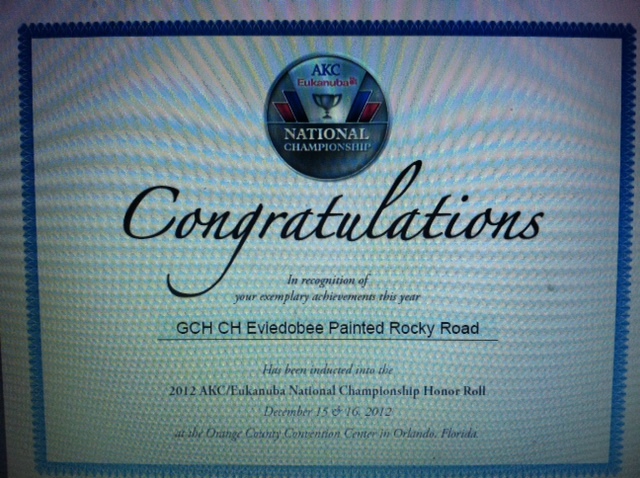 AKC/Eukanuba National Championship Show held in Orlando Florida on December 15-16. What an honor this was for him to have qualified and to get to show him there!!! I am so proud of my boy Rockwell!!! He was a pro at the airport, going through security, (hopped right on escalators) on the plane by my feet... and he loved the glass elevators at the hotel !! !...an all around 1st class Grand Champion!!! We had a wonderful time!!! Click the link to join BPB on Facebook!! PROUD MEMBER OF THE BTCA!! Check the Puppies For Sale page to see what is available, Current Breeding or planned future breeding of the beautiful true AMERICAN GENTLEMAN. Some of the best you will find. Check them out!! GREAT SHOW/BREEDING LINES!!! Below: Gucci as a puppy, and beside her, 2 of her little girls!! The puppy on left in that picture is Painted-S Bee- who is the mother of the 2 puppies below Gucci and 2 of her little girls. Gucci grandkids, full siblings to Painted-S Boots. 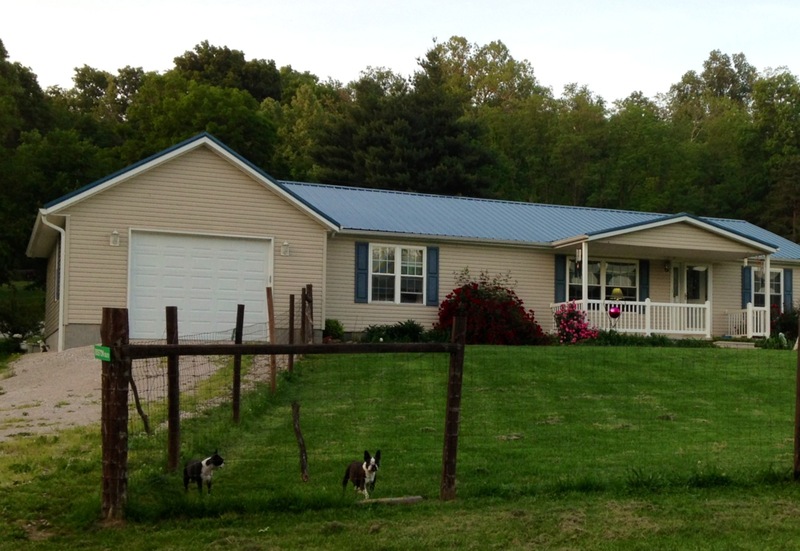 This is a small family horse farm in rolling hills and scenic hollows! 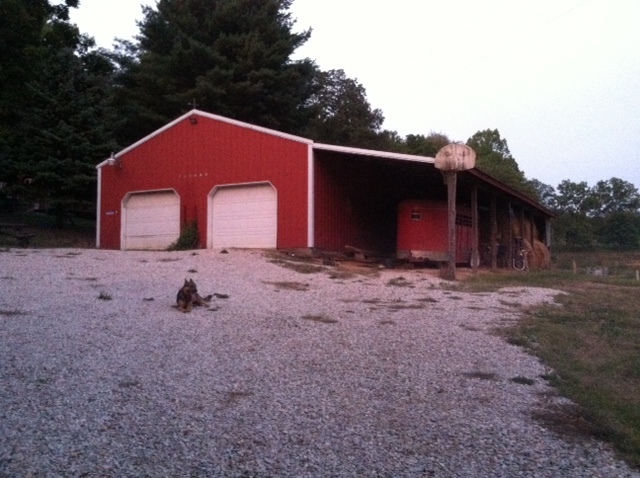 Both of my children and their spouses and children live on this farm, just our own locations. We enjoy trail riding our horses & raising/showing our beloved Boston Terriers. 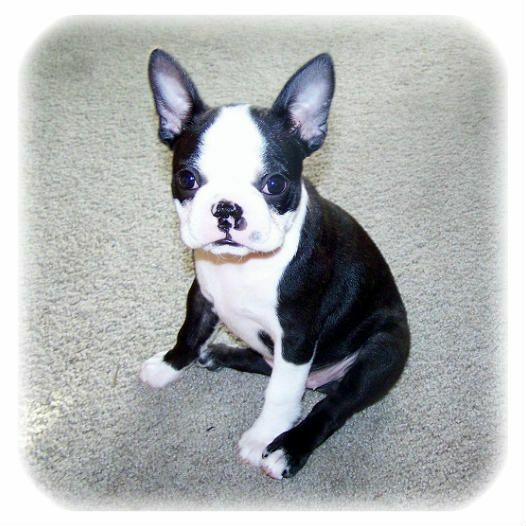 Brett's Painted Bostons has much to offer in the traditional colors of puppies!! Take the time to browse the site and see our nice bostons, having good bone/structure, outstanding personalities and great pedigrees! Please let us know if you see anything that might be of interest to you. Email or call anytime. 812-486-9052 cell. 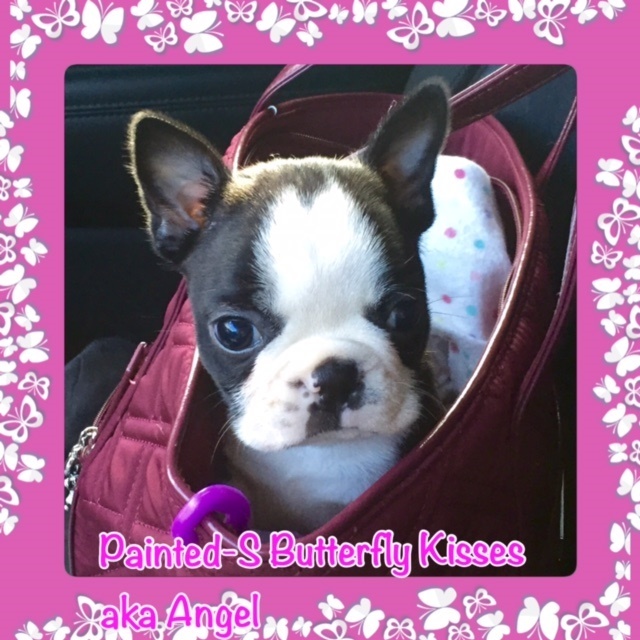 Email, paintedlady1990@yahoo.com Boston Terriers make family members and we strive to have some of the best that could possibly be your next Champion and/or breeding/ companion! We are always trying to better the breed, preserve our lines and we take pride in what we do. 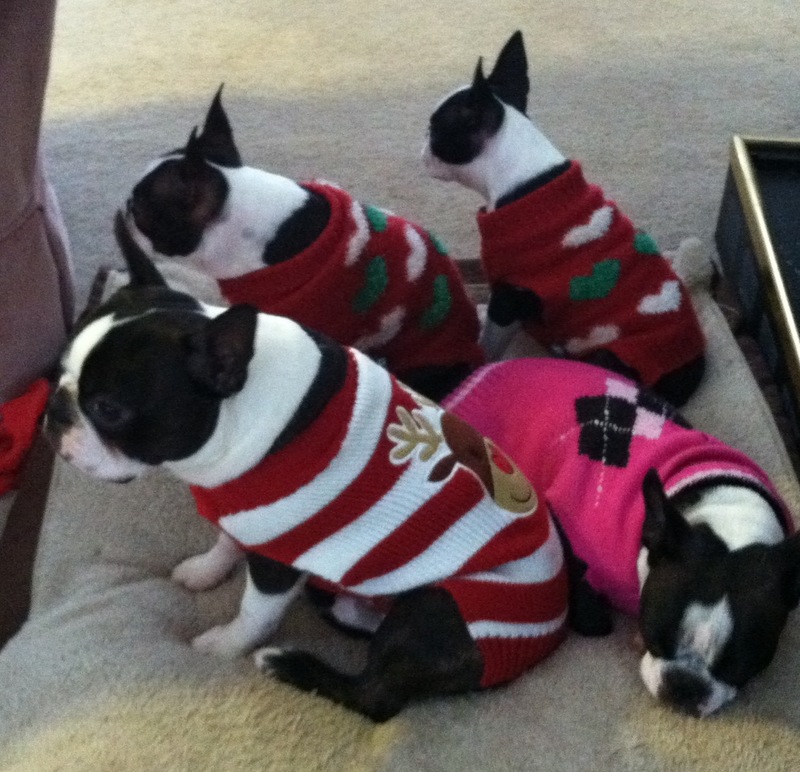 They are NOT just pets,... our bostons are members of our family! When we have any available puppies, we want them to be part of your family as well as in breeding/showing homes. Our babies are use to a lot of love and attention while they are with us and we want them to go to equally loving homes. 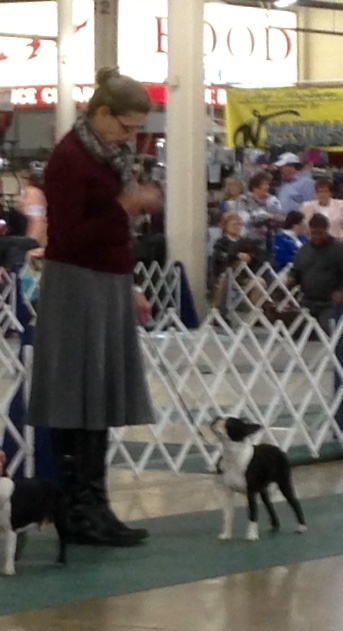 We are into AKC Showing!! We are so happy to have some excellent pedigreed bostons that will produce show potentials and wonderful healthy/happy breeding/companions !! Many generations of health tested Bostons! The 2018 breeding plans will only add to the quality here at Painted. So check back for updates!! Painted-S Bostons has the right to refuse the sale of one of our puppies at any time and for any reason. And we MUST meet you to get your puppy! Please do not send money through Paypal until you have received the Okay from us for the purchase of one of our babies. We will sent you an invoice once we have talked about which puppy/litter you are interested in. 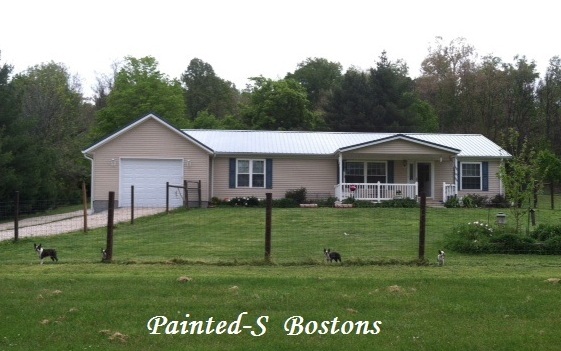 Painted Bostons- Where your dreams become "Fur-Real"!! Let the Memories Begin!!! PLEASE VISIT "MY TESTIMONIAL" PAGE AND LEAVE A COMMENT ON MY SITE or READ WHAT OTHERS HAVE HAD TO SAY!! THANKS FOR VISITING AND COME BACK SOON..THINGS ARE ALWAYS HAPPENING ON OUR FARM!! 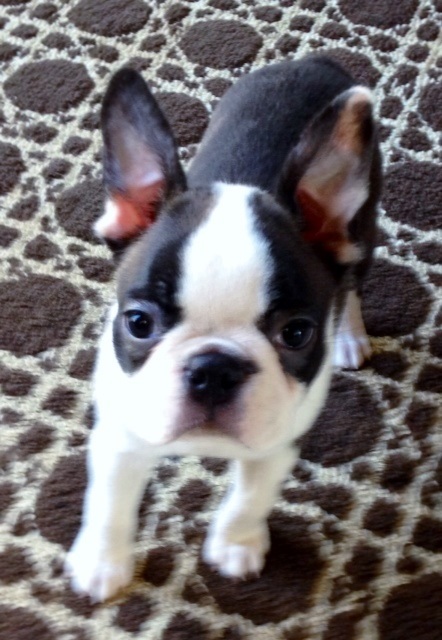 If you are looking for a quality and well socialized Boston Terrier puppy, we occasionally have some available!! 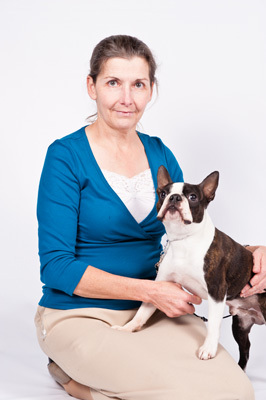 We are dedicated and responsible Boston Terrier breeders with a hands on operation. We LOVE raising Boston Terriers. 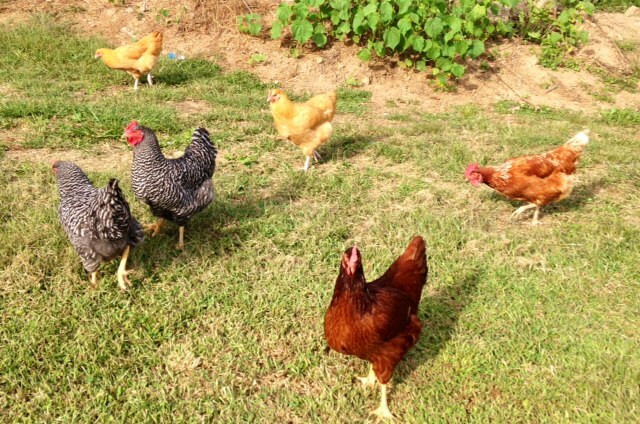 We believe they are a great and loving family pet. 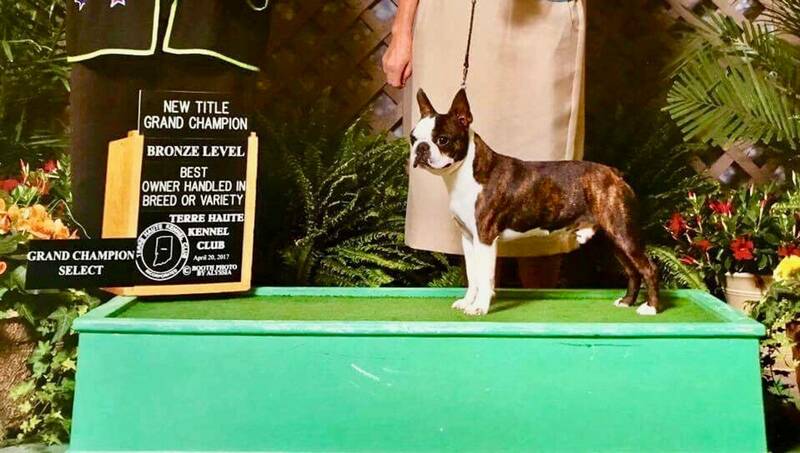 Our bostons are chosen and bred with careful consideration given to Temperment, Health, Conformation and the Breed Standard as well as having great pedigree. Our #1 Priority is to raise a Happy, Healthy puppies that meets the AKC Breed Standard and place each puppy with the right family-great show potentials! Our puppies are raised around our children and grandchildren, other pets and in a loving home environment. All puppies come with an AKC registration application, written health guarantee, puppy care packet, toy, blanket, food sample, have their dew claws removed, first shots, wormed, regular toe nail trims and completely vet checked when they go to their new loving homes. We also provide a Lifetime of Support and Welcome Home Policy!! Now offering Microchipping for an additional $30 charge and you can register your chip by clicking the link. It is always better to be safe than sorry!! 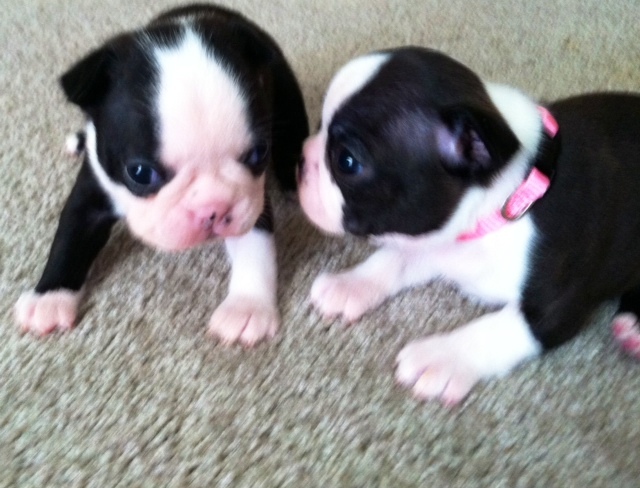 Contact us to adopt your next gorgeous and healthy Boston Terrier puppy. We will do our best to make the adoption a pleasant and happy experience. 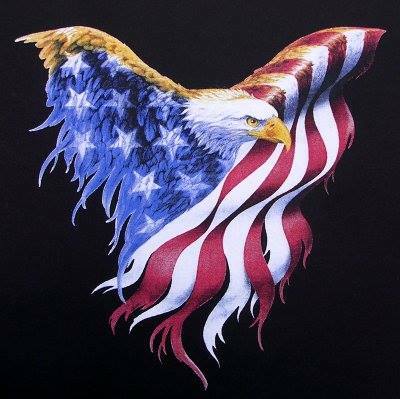 We will answer all queston before and after to the best of our ability. You will get continuous support for the life of the dog. We not only stand behind the pups we produce, we stand beside you to insure happiness to both you and your puppy. 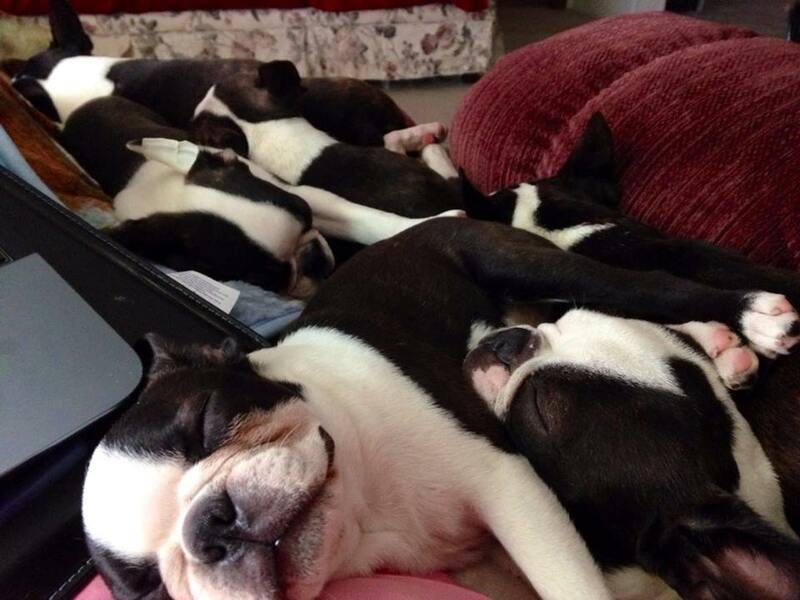 Once you purchase a puppy from Brett's Painted Bostons, you have become our 'Extended Family' for life. We care for each one of our babies (adults are our babies too) and they all get lots of love and attention. 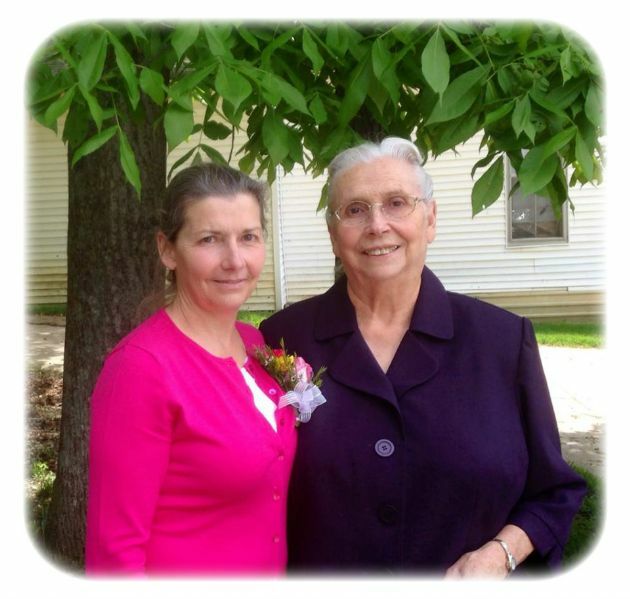 Mother's Day 2014- My Daughter, Ashley and me, and My Mother and me. NEW ARRIVALS ON OUR FARM!!!! 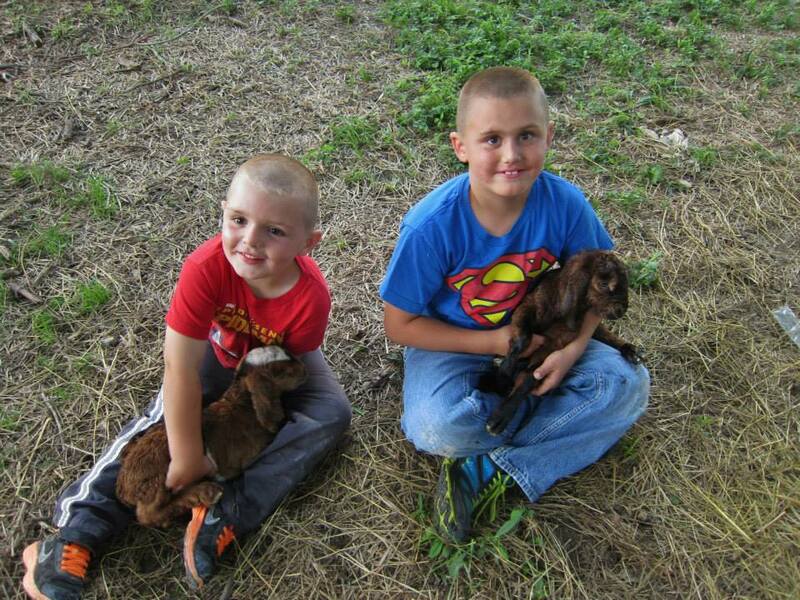 OUR FIRST LITTLE GOAT KIDS!!! Born to Annie on June 9, 2014 - Both little bucks. Below, Austin and Mason holding the newborns- Austin has the first born. Below, Keaton, Katie and Charlie with the new 'kids'. 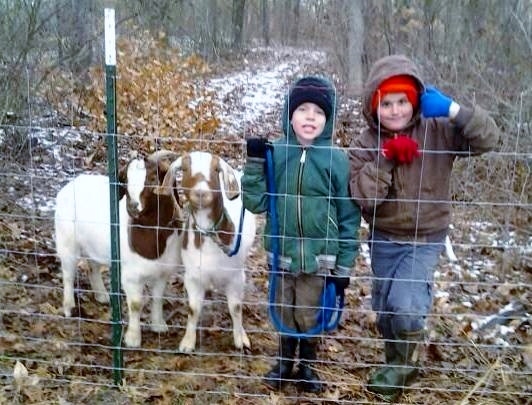 Below- Austin, Charlie and Mason with some of our goats. Kevin and Keaton and their horse Hemi. 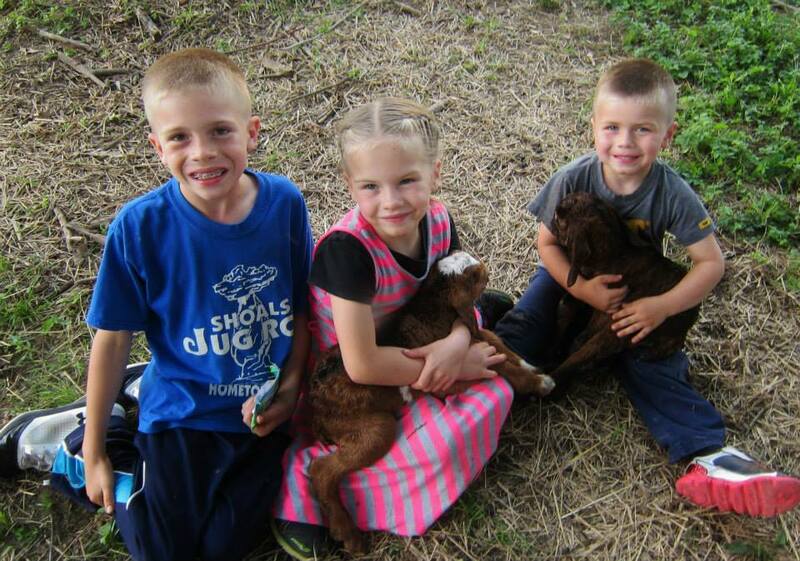 Below - BOER nanny goats, Princess & Curly with Keaton and Mason. 2014.